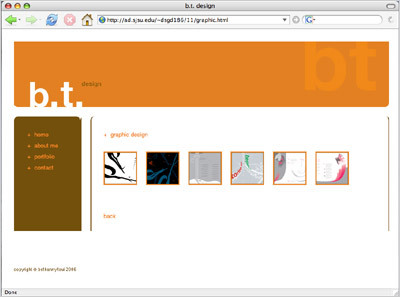 Website n.01 by Brittany Dennler. Website n.12 by Wilfred Castillo. Website n.24 by Barbie Fang. 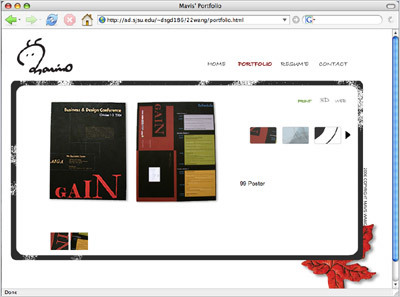 Website n.22 by Mavis Wang. 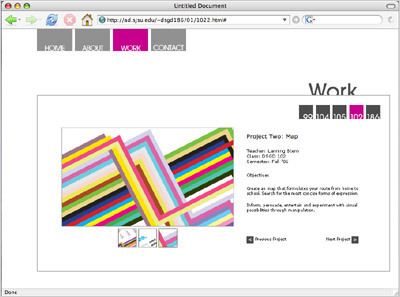 Website n.11 by Bethanny Tsui. 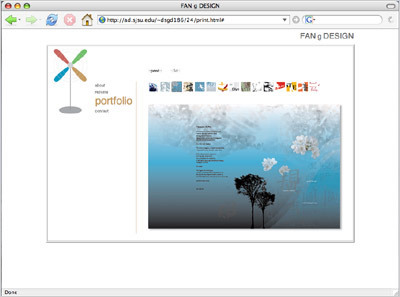 Website design: HTML and CSS. San Jose State University. 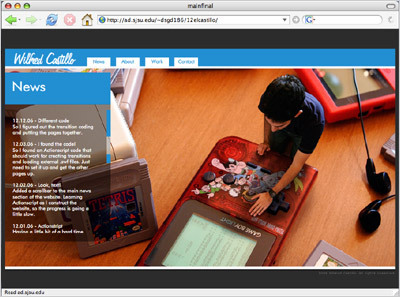 26 student personal websites. Using simple text editors, students were introduced to the basic building blocks of html coding and css. This was the first experience in html coding for the majority of the students and it formed an interesting transition for them from the color space of cmyk to that of rgb. The minimum requirements for the sites were: homepage, portfolio page with at least three projects, contact page with online form, about page with resume pdf.